This month went from A to Z, literally! We’re digging the A’s: Atlas, Anson, Aundreos… the Z’s: Zuzanna, Zorica and Zoi.. and even mixing them together: Azai and Aariz! Just because A got a lot of love this month, we didn’t forget about B, C and D! Bohden, Crowder and Danby are all solidly cool names that we’ve never heard before. 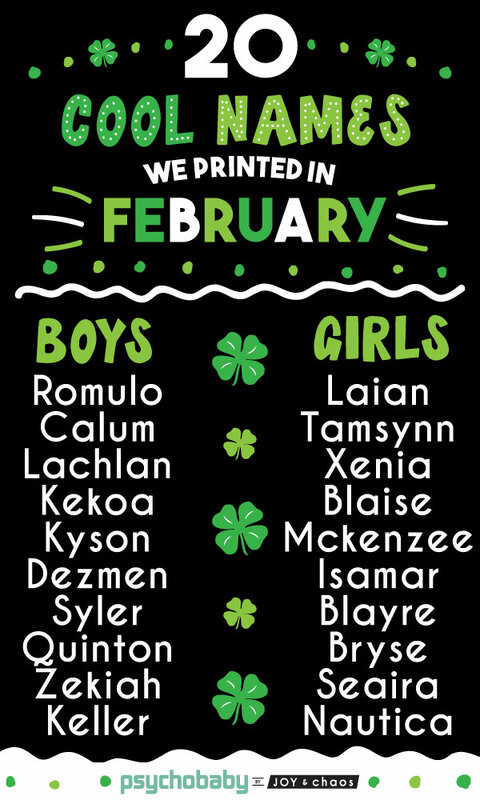 And actually, almost ALL this month’s names are ones we’ve never come across – Anxelin, Zorica, Azai, Aundreos, Crowder, Daejon, Bohden, Abrea, Zoi, Danby, Aariz and Cataleya! 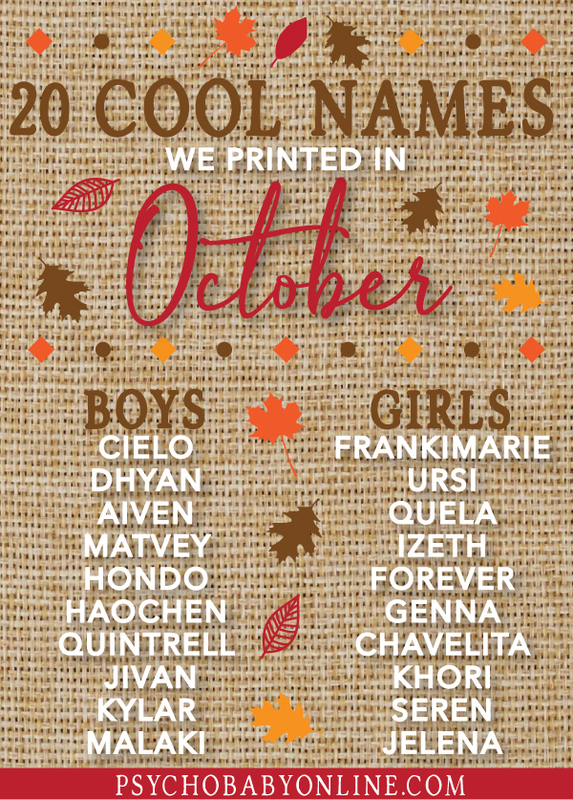 Celebrate your family’s cool names with a custom Halloween gift for your little one or a new Halloween home decor item – we just added some AWESOME canvas throw pillow covers and custom jute placemats, perfect for your fall table! 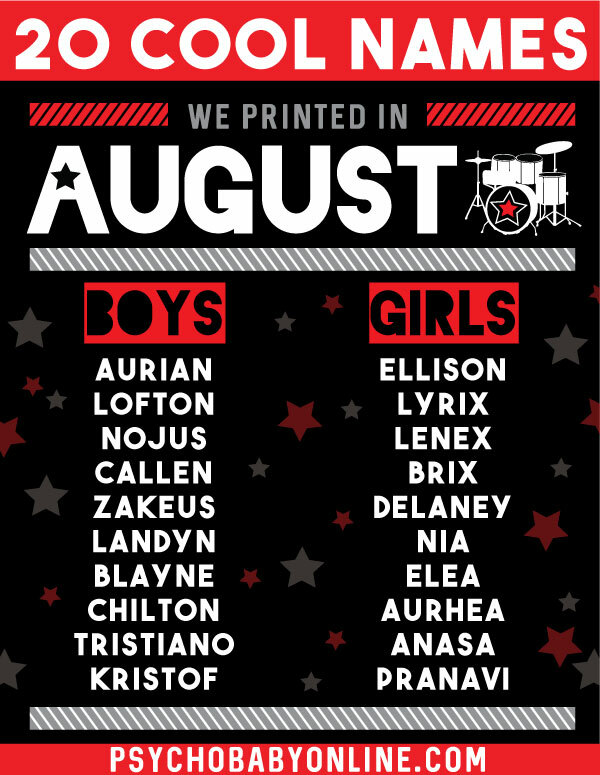 We’re bummed that summer is winding down, but psyched about these 20 uncommon baby names we printed in August! 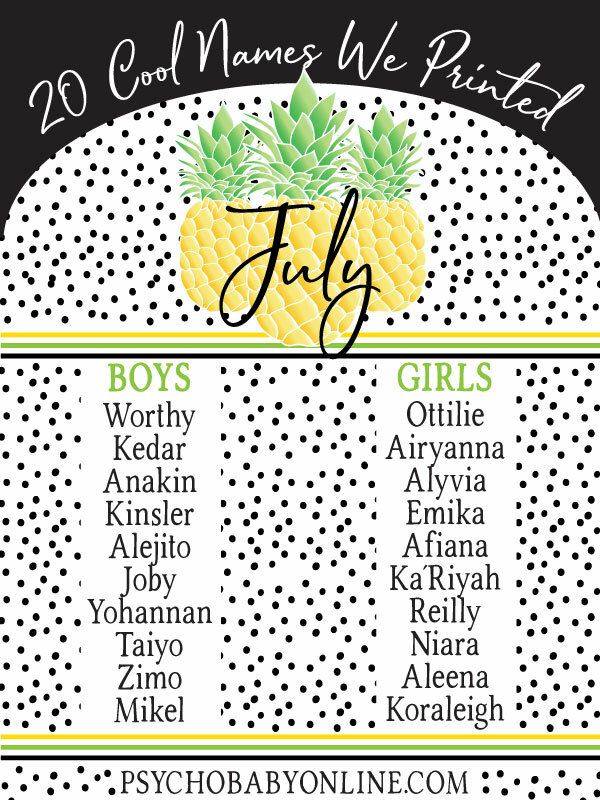 X marks the spot… for X-cellent baby names! Brix, Lenex and Lyrix all popped up this month. Also digging these preppy, classic sounding names which remind us of boys in John Hughes movies: Chilton, Blayne, Landyn, Callen and Lofton! Two more we’ve NEVER seen before: Aurian and Aurhea! Just when we think we’ve seen it all, you guys come up with even cooler, crazier names for your P’Babies! If you’ve got a little one on their way back to school, make sure you check out our personalized back to school supplies, including brand new custom canvas pencil cases and tons of cool personalized lunch bags. Also, it’s not too late to snap the perfect ‘first day of school photo’ – our printable back to school photo signs are a quick & easy way to make that moment even more memorable! Our favorite unusual baby names of July really covered all the bases, from A to Z! 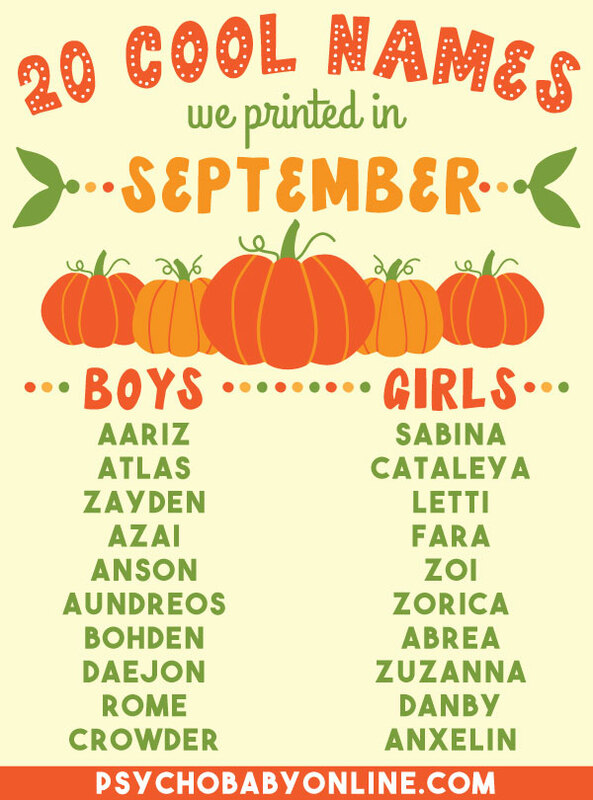 We love all the cool baby names that start with A we saw this month – Anakin, Alejito, Airyanna, Alyvia, Afiana and Aleena. And let’s not forget little Zimo representing letter Z! K is another letter that popped up a lot this month – Kinsler, Kedar, Ka’Riyah and Koraleigh were the most unique examples. 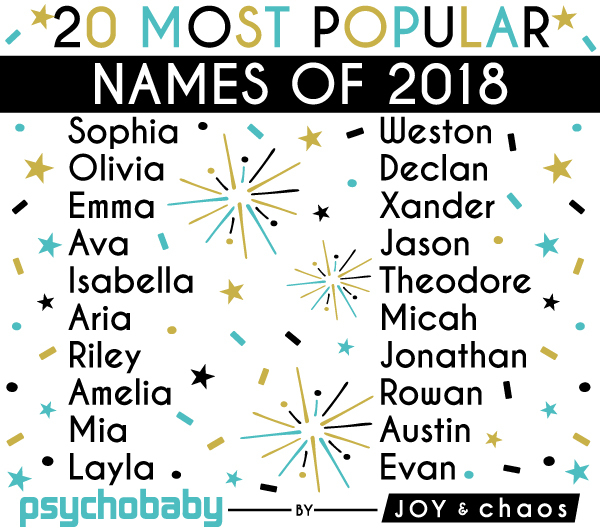 As always, we love to see the creative spellings new P’Baby parents come up with – like Mikel (Michael), Alyvia (Olivia), Reilly (Riley), and Airyanna (Ariana). What’s your favorite unusual name out of all these? If you’ve got a Psychobaby in your family with a cool, crazy name – check out our newest personalized baby gifts and personalized kids gifts! We hope Bellamie and Sumair find each other someday and become best friends! 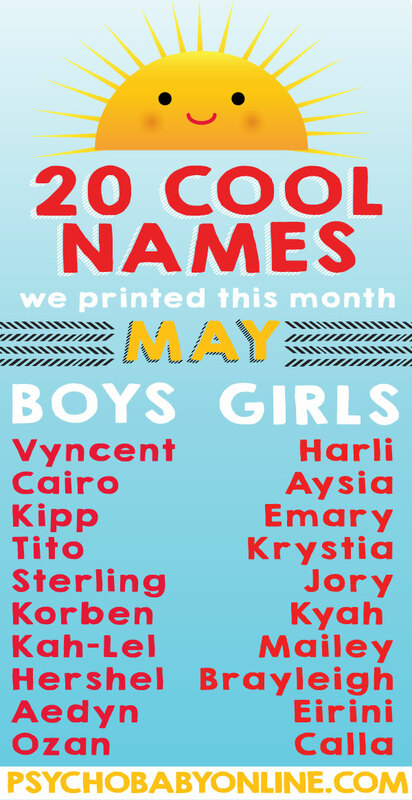 Check out May’s most unique baby names & as always, make sure to check out our newest personalized gifts for your whole family! Happy Summer! (FINALLY!) 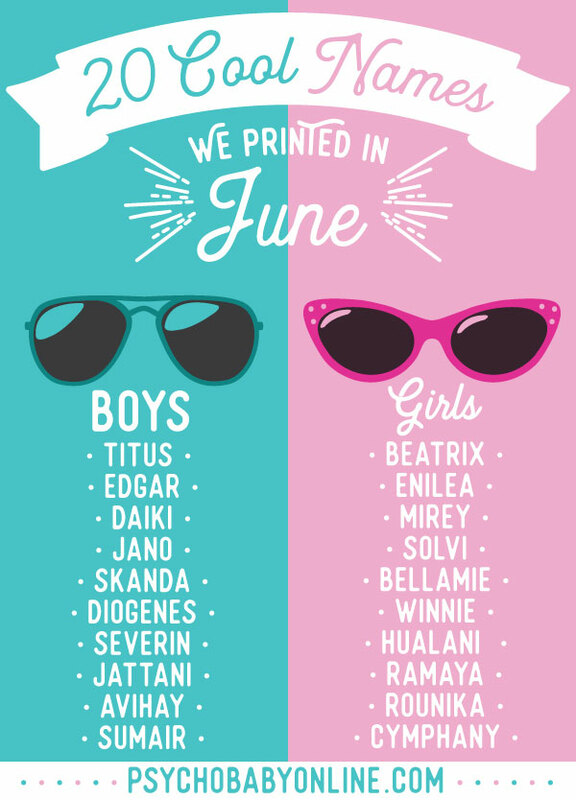 Celebrate the warm weather with the 20 coolest baby names we printed this month! Last year was the year of the Z, this year we’re seeing “Y” everywhere – making Vyncent, Aedyn, Aysia, Kyah and Krystia look extra cool. Our fave names are the ones we’ve never seen or heard any version of before- this month that award goes to Ozan, Eirini and our next pick…. 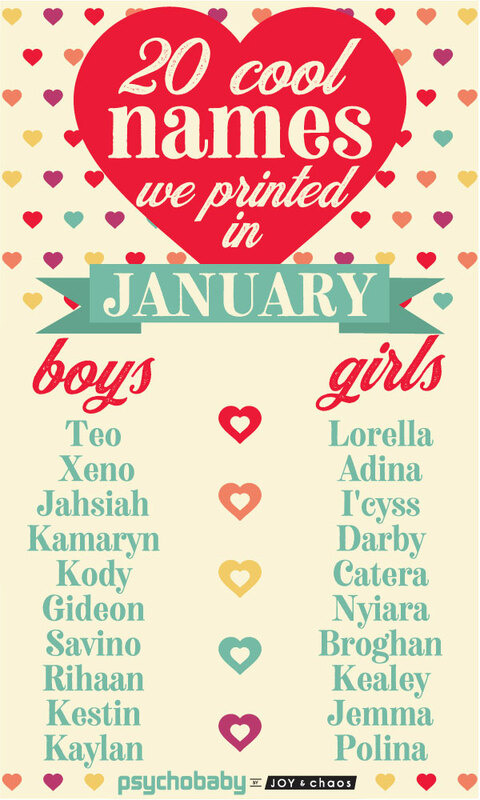 Need more creative baby name inspo? 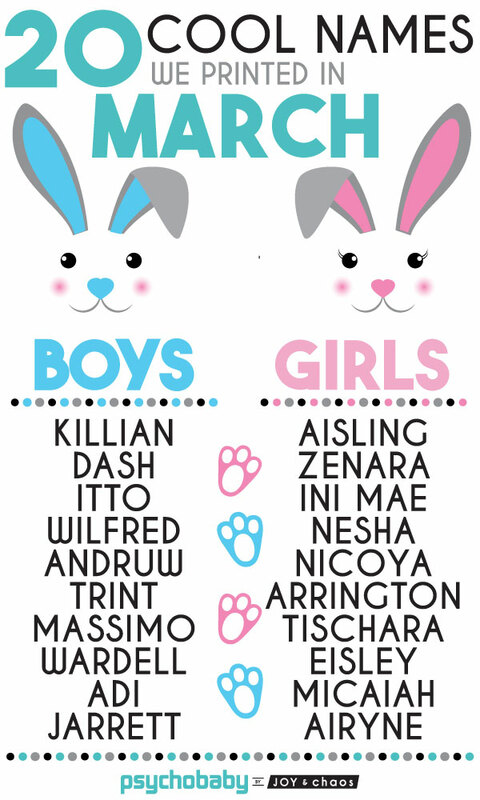 Click here for April 2018’s most unique baby names & as always, make sure to check out our newest personalized gifts for your whole family!